Though the album is very poppy and upbeat, it is a little too poppy and upbeat. It’s at times just plain obnoxious; her other songs had beats that were fun to dance to or sing along, but this album is just annoying. At most, it seems like a half-effort on Jepsen’s part. In the song “Tiny Little Bows” it sounds very rhythmic and has a lot of acoustics in it. It doesn’t really sound like you would pay attention to the words but if you were to continue to listen to the song you would start to like it. The songs do get very catchy if you were to listen to them repeatedly. “Call Me Maybe” received so much air time it became the summer anthem of 2012.The music reminds one of something a teeny bopper would listen to. If Jepsen’s primary target was aimed for a younger audience, she achieved her goal. Occasionally, her voice would sound very high pitched and annoying, then add that to the overwhelming loud beats you could hear behind her voice: it just didn’t go. 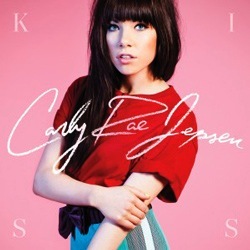 If there are die hard Carly Rae Jepsen fans out there then go ahead and buy the new CD.